John Terry announced his retirement from football this week, sending the media and fans into a frenzy of an undignified silence. What a paradoxical way to end a career that had seen an equal amount of highs and lows. 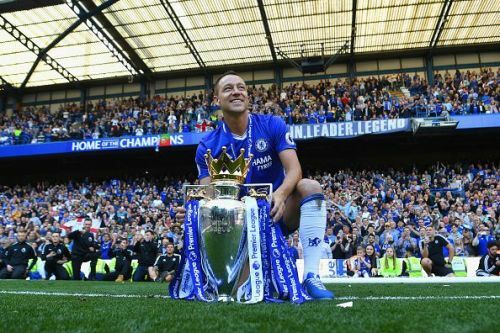 One of Chelsea's most influential captains, Terry has had his hands on the Premier League title five times. Terry has also won five FA Cups, and a Champions League title as well, but his successes pale in contrast to the character and courage he brought to the table at Stamford Bridge. Leading from the front, and protecting the back line like one would a child, he was a footballer who demanded, even commanded respect. It had been a quiet last year. Leaving Chelsea after spending two decades at the West London club, Terry signed a one-year contract with Aston Villa, and did well too, taking them to the Championship play-off final which they unfortunately lost. But his heart and soul lies with Chelsea. If there was ever a true blue, it was John Terry. He commanded his troops well, and did so with a touch of authority. There has never been a finer centre-back to wear Chelsea's colours aside Terry. He defended with a complete mastery over his craft. Putting his body and soul on the line, he was pretty much The Shed End's own. The media loved him, and the fans could not get enough of him. There were a host of geniuses at Stamford Bridge when Chelsea and Terry were at their prime - Petr Cech, Frank Lampard, Deco, Michael Ballack, Malouda, and Didier Drogba, all stars in their own right, but Terry was the glue that bound the team of stars together. He led them towards glory, and shook off apprehension, this he learned so well under Jose Mourinho and Carlo Ancelloti. But what was so special about John Terry? It was perhaps that the best of the man came out when he found himself in adverse situations. It was almost like he enjoyed those circumstances so much that he found within himself another gear. Forming a terrific centre-half partnership with Rio Ferdinand, Terry had some great times wearing the England shirt too. Terry's was a career that was full of disastrous lows as well. He was fined and slapped suspensions after being stripped of the England captaincy when he was found guilty of racially abusing Queens Park Rangers defender, and Rio's brother Anton Ferdinand. From nightclub brawls to assault allegations, he had a mixed bag full of profligacy. John Terry has had a colourful career full of highs and lows, but he leaves the game with the respect of his opponents deeply embedded within their hearts. The footballer was perhaps a tad better than the man, but John Terry's place in Chelsea's history can never be questioned. 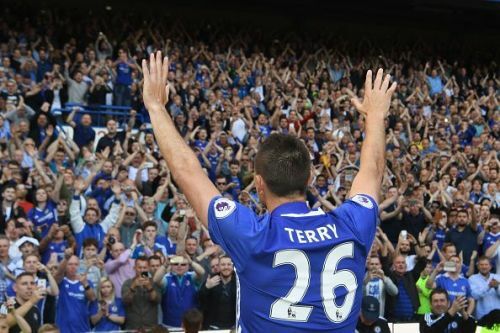 From being their most successful captain, to their highest scoring defender, Terry has etched himself into the record books. Some will say that the Champions League triumph in 2011-12 will be his greatest ever achievement, although he didn't play the final due to suspension. John Terry the footballer has been massive, and deserves nothing but respect and admiration as he leaves our beautiful game. How far is Eden Hazard from becoming an All-time Premier League Legend?